Valentine’s day is around the corner. One of our core values is collaboration. So why not celebrate the month of love in collaboration with inspiring business woman Kafui Awoonor and her wonderful brand Kafui Naturals. This entire month Kafui Naturals and Beleaf & Co celebrate love and we would like to celebrate this together with you. We have put together a lovely Valentine’s special! Consisting out a valentine promotion and an amazing giveaway with unique teas and natural body products valued at R850. 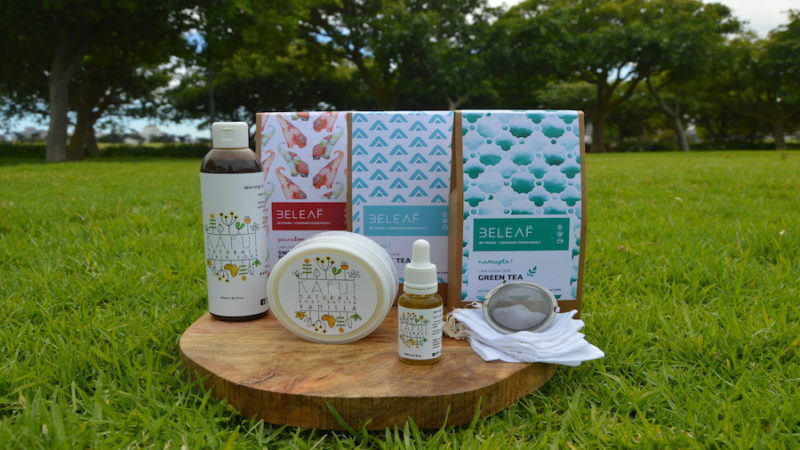 Kafui Naturals and Beleaf & Co share the same objective: offer real products without chemicals. We offer you organic, hand-crafted and fairly traded teas, whereas Kafui Natural offers natural body products. On top of that we both started our companies appreciating the wonderful raw products from the countries of our origen. For Kafui Naturals this is Shea Butter from Ghana and for Beleaf & Co this is tea from Sri Lanka. Founder Kafui Awoonor noticed a lack in natural body products that cater to people from the African continent and celebrate natural beauty. Like tea, the raw materials that are used to produce body products such as Shea butter or Black Soap are exported to the West, and processed into high valued products. On top of that, your regular hair spray, body cream, hair mask etc. are filled with chemicals. This is where Kafui Naturals makes a difference. Products such as black soap which is made from Shea tree bark, dried plantain leaves, coco pod ash is nutritious for your skin and hair. Also, Shea butter, the main ingredient used for her body butters and lip balm has natural sun protection and alleviates Eczema, scaring and blemishes, leaving skin feeling and looking healthy and glowing in the most natural way. Kafui is a shining example, literally. Her dark brown skin is A M A Z I N G! From personal experience I can honestly say that the body butter improved my extremely dry skin. It was always difficult to find a body cream that was moisturizing and penetrating enough, without strong perfumes. And when I started using Kafui Naturals my skin started glowing and became healthier. “black don’t crack, brown don’t frown” is a phrase Kafui and I often use. With the help of Kafui Naturals I can really keep this up. Would you like to treat yourself or celebrate your loved ones? We offer a Valentine’s promotion that will make you feel and look great inside and out! Surprise that special person and treat your partner, friend, mother or yourself to various teas and body products for only R375! On top of our Valentine promotion, we also celebrate the month of love by giving away a hamper with high quality loose leaf teas and body products. Really amazing right! How to win? All you have to do is show us some love; follow Kafui Naturals, follow us and invite 3 of your friends to follow us both too before the 14th of February! We will announce the winner on Valentine’s day. Click here for the Valentine promotion.